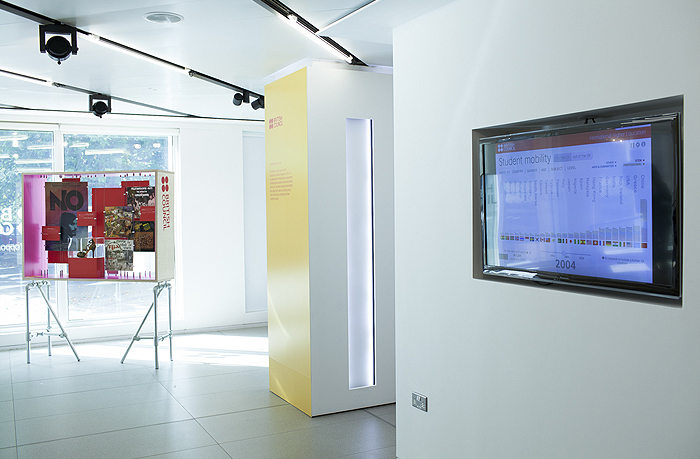 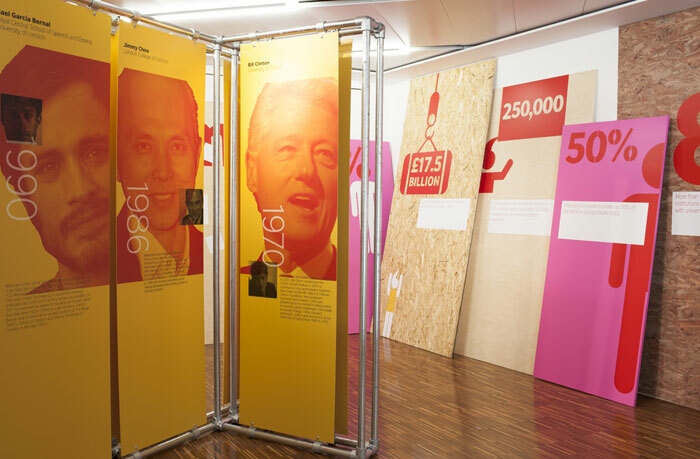 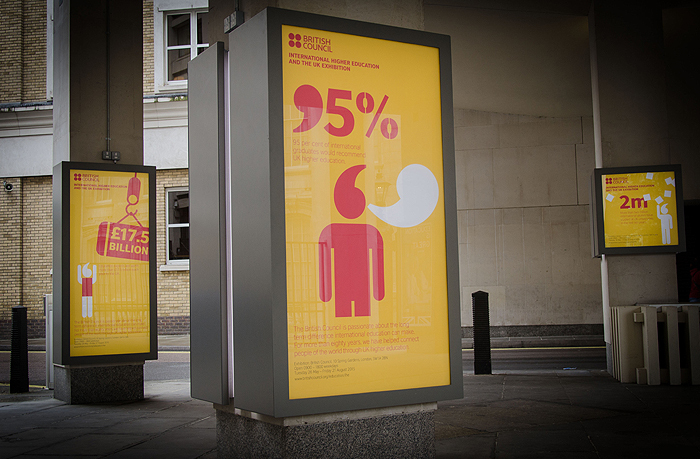 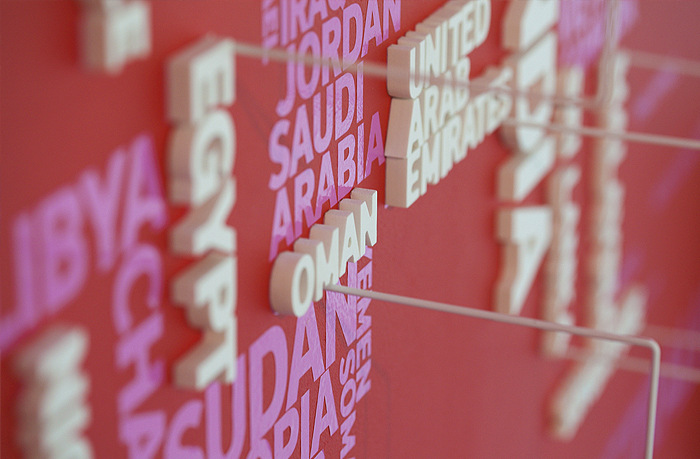 As a precursor to Going Global conference in June 2015, the British Council commissioned Thoughtful to design a temporary exhibition to be held in the reception area of their headquarters to demonstrate the role The UK plays in supporting, facilitating, creating opportunities and collaborating in International Higher Education. 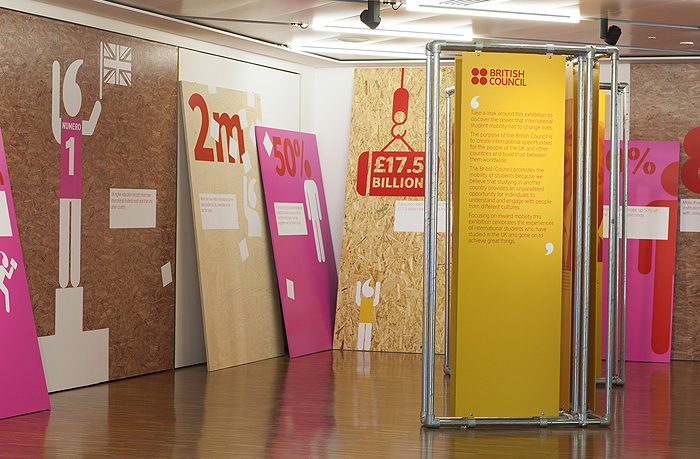 The exhibition was aimed at all visitors to the British Council and also acted as a backdrop to the launch of the Going Global event which the council organises to discuss International Higher Education issues. 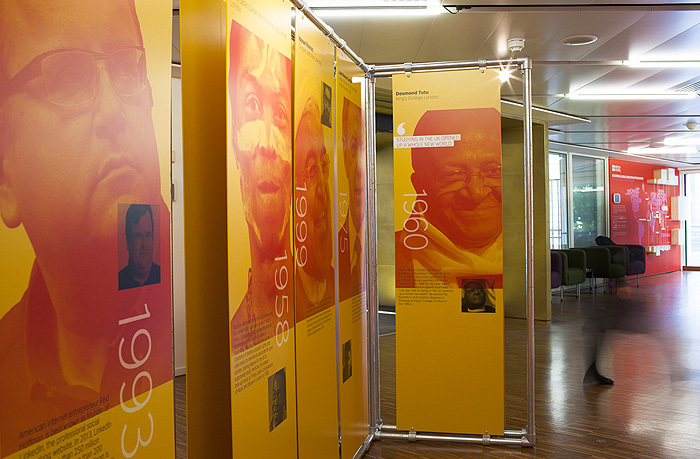 The attendees for the launch included Ministers, university leads, students, the wider public and VIPs. 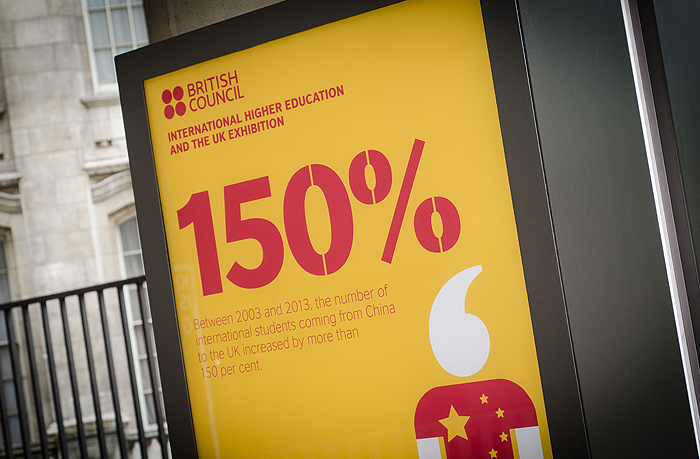 The overall content of the exhibition featured facts and figures demonstrating the important role The UK plays in enhancing opportunities for students, and promoting international mobility and exchange. 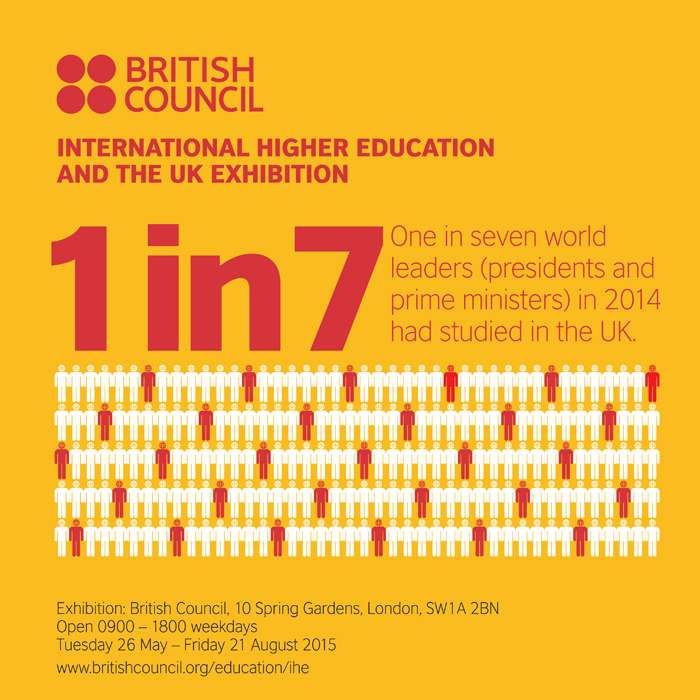 At the heart of all of this was the student experience and the celebration of the success stories of international UK alumni . 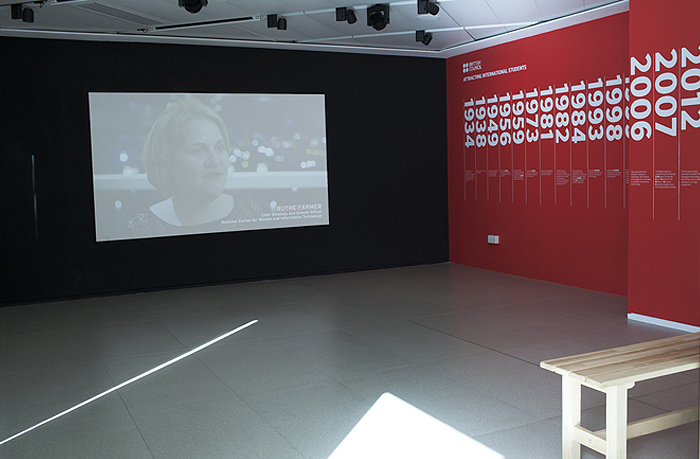 Looking at past exhibitions in this area, it was clear that a brave and bold approach was necessary to cut through the notion that this was traditionally an art gallery type space. 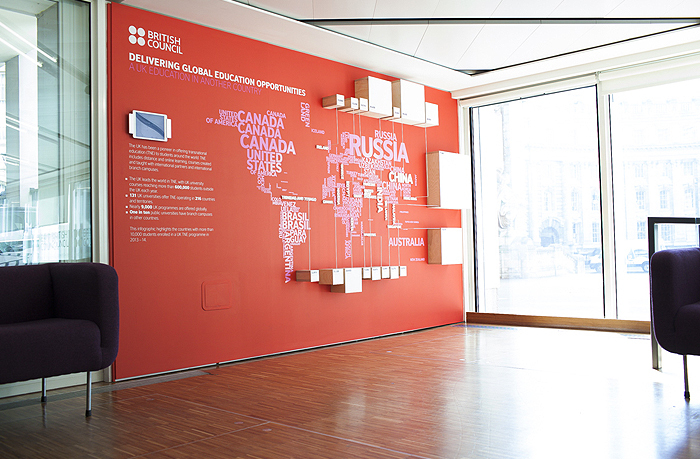 Thoughtful’s concept was based on the idea of the global import and export of the student experience: education as a commodity, and featured little known facts about the development and the role the British Council plays in International Higher Education. 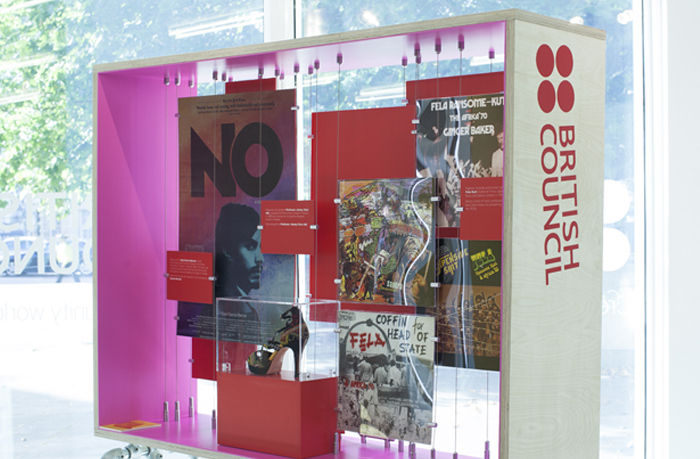 This approach informed the choice of materials and the presentation style of all elements of the exhibition. 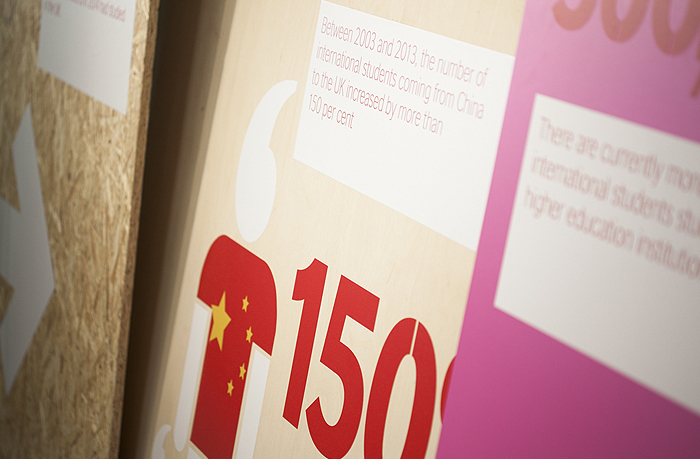 with stencilled type and pictograms ensured that the exhibition visually conveyed the concept of the import and export of the student experience. 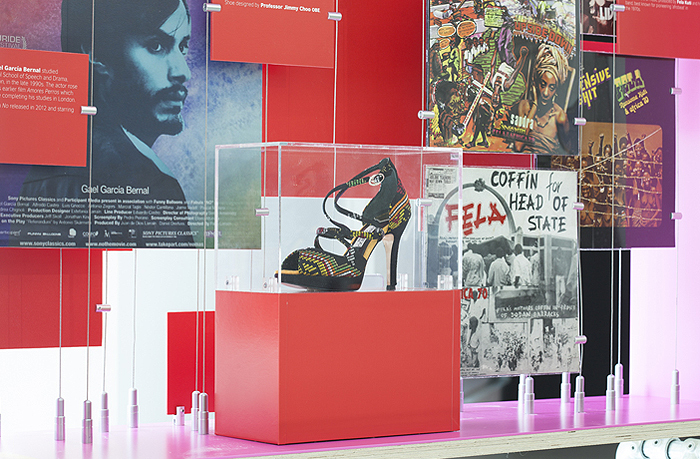 This choice of materials also made a virtue out of the necessity of this being a temporary installation.